Hi Stampers! I'm not playing along in any challenges today, but I do have a card that I made with my Technique Class a few weeks ago to share with you. 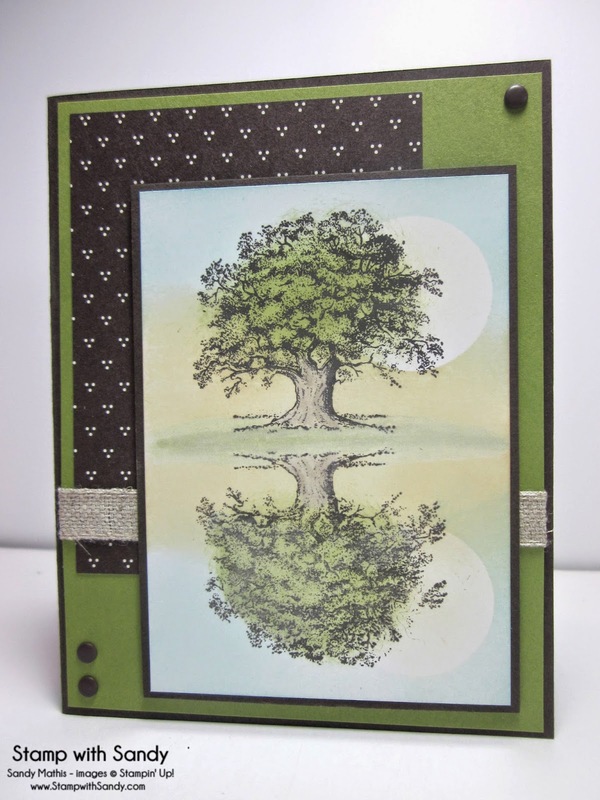 The techniqie is called the Reflection Technique, and the card was cased from this card made by a fellow Stampin' Up Demonstrator which I found on Pinterest. (Sorry but the link doesn't go anywhere beyond Pinterest). To create the focal panel, first I stamped the tree onto Glossy White Card Stock using Early Espresso Ink. 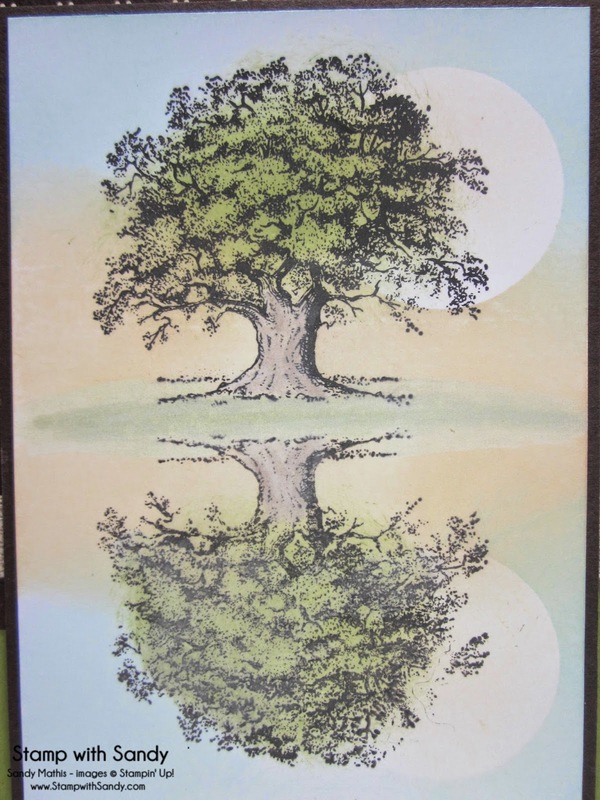 I stamped the tree a second time onto a window sheet, then turned it over onto the glossy white card stock with the image directly beneath the other tree, and rolled over it with a brayer. Then I used a circle punch and scrap paper to create a mask for the sun, and sponged around it with various colors of ink. Finally, the tree trunk and grass were colored in with a blender pen. Yes Sandy, it was a great class and the card is even more beautiful in person! Gorgeous work; such a pretty card! TFS! Sandy, this is stunning. Thank you for explaining how you did it. this is such an under-utilized set (outside of Christmas!) and you showed how fabulous it is with summer leaves. The sponging is gorgeous. Love this Sandy, can I comeover and stamp with you?!! !